Tomohon is one city in North Sulawesi, Indonesia. Before the year 2003 is one of districts in Minahasa. 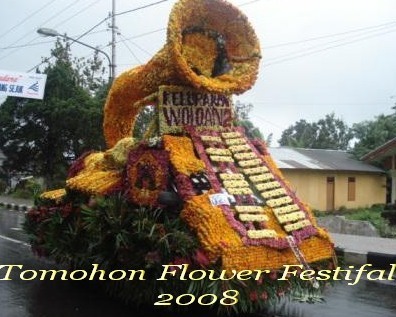 On February 8, 2006 for the first time in Tomohon Flower Parade held to stimulate tourism and flower cultivation. 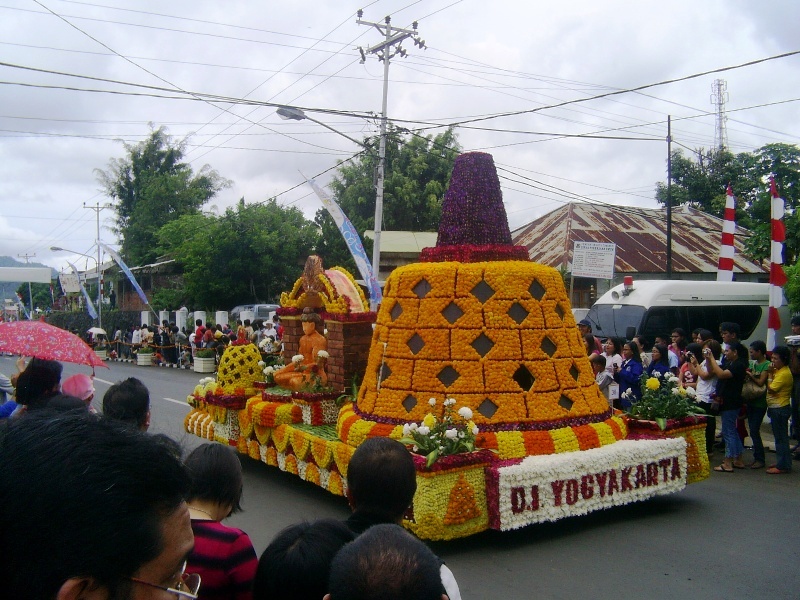 Parade of these flowers by the Mayor pledged Tomohon fixed annual calendar. 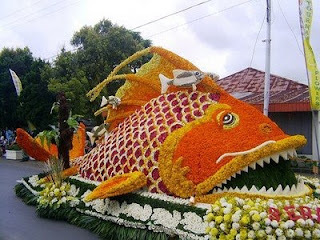 In June 2008 was held Tomohon Flowers Festival (TFF) as a continuation of the Flower Parade that was held February 8, 2006.